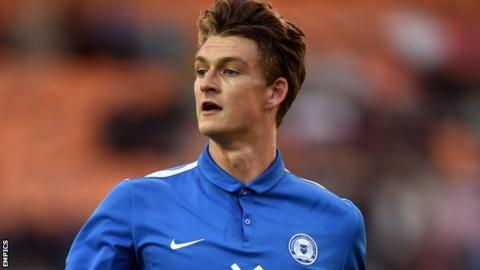 National League side Kidderminster Harriers have signed left-back Andrew Fox on a one-month loan from League One Peterborough United. Fox, 22, is yet to make a first-team appearance for Posh after joining the club in the summer from university football in the United States. He is Kidderminster's ninth new signing since the end of last season. Fox, who can also play in midfield, is set to make an immediate debut in Tuesday's home game against Wrexham.